Creation: Appeared in July 1933 as a renumbering of VA 521, running as it does today. 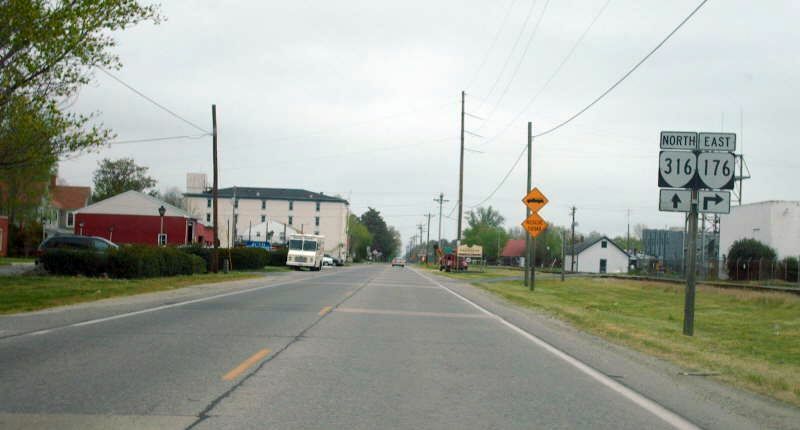 This is the only VA 176. 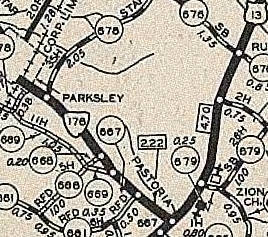 Comment: VA 176 connects US 13 to Parksley, which is a real place with a real downtown.